We are proud to announce that the Supreme Court of India has designated two of our Alumni: Mr. Devadatt Kamat and Mr. Manoj Swarup as Senior Advocates in March 2019. Also, six of our Alumni have cleared the Advocates-On-Record Examination held in June 2018. We congratulate them for their success! 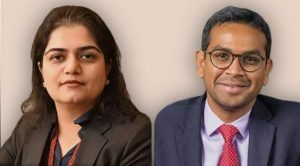 We are proud to announce that Avaantika Kakkar of Cyril Amarchand Mangaldas and Srinath Dasari of AZB & Partners alumni of ILS Law College Pune are recognized in this year’s Economic Times 40 under 40: Celebrating Young Leaders. The Economic Times 40 under forty is the definitive listing of India Inc.’s top business leaders. The list honors 40 of the brightest corporate leaders, entrepreneurs and owner-professionals of the country under the age of forty. (2) ILS Alumni shine in UPSC 2017 !! !